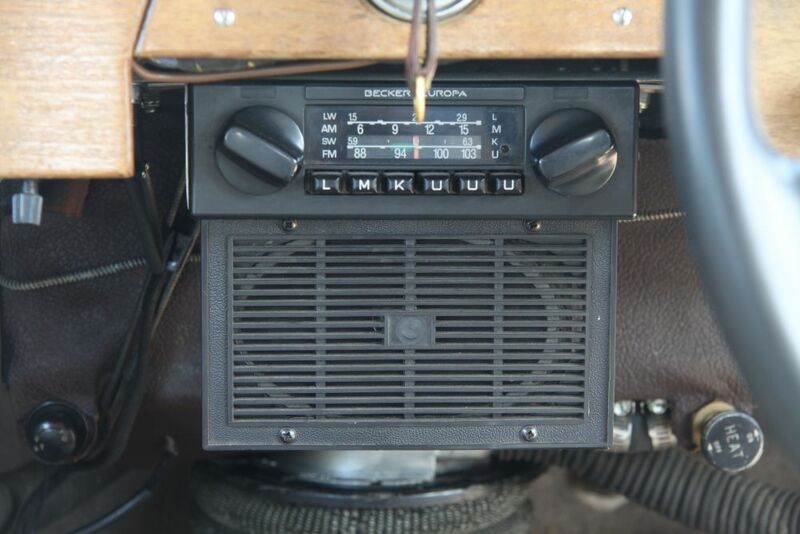 Transmission: 4-Speed Manual. 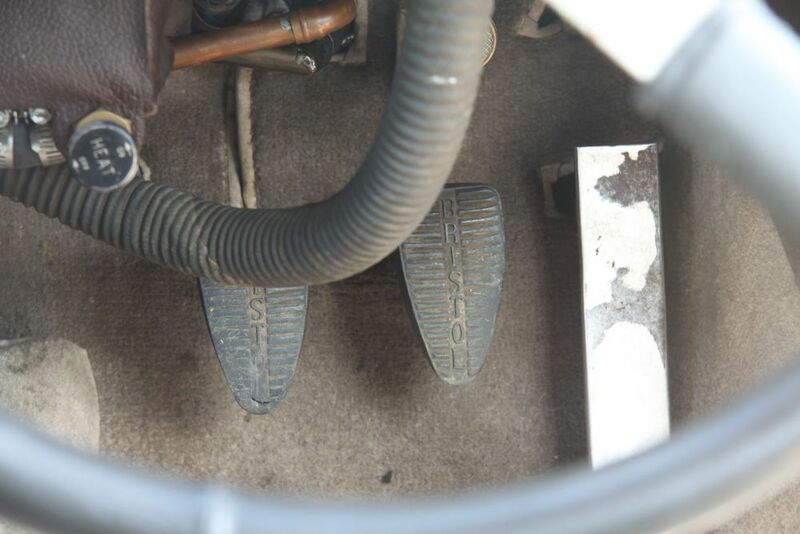 Synchro on upper 3 gears. 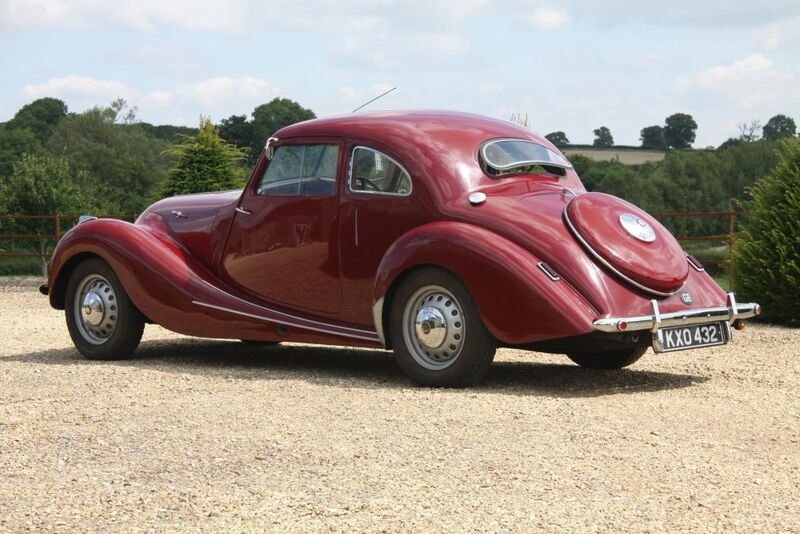 NOW SOLD - to enter the MILLE MIGLIA 2018 ! 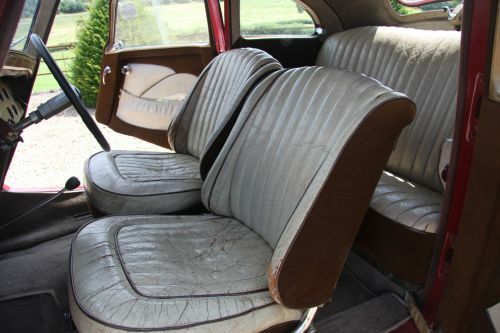 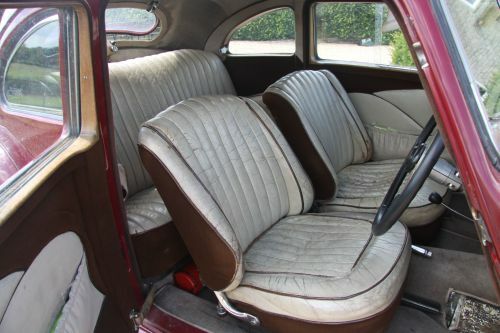 Lovely original cream leather upholstery in good condition. 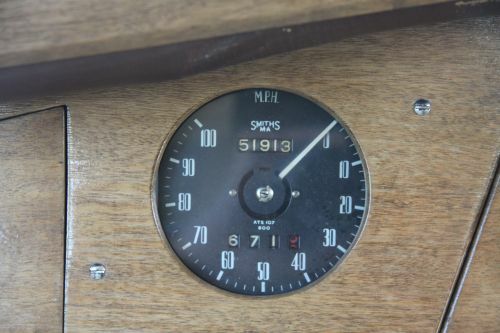 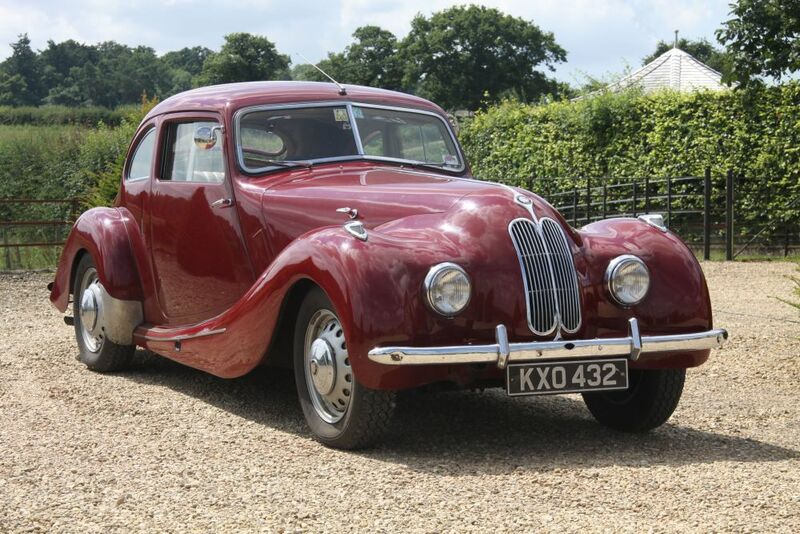 MILLE MIGLIA ELIGIBLE - must be one of the most inexpensive cars to enter the Mille Miglia from Brescia to Rome and back in 2 days today - a Bristol 400 having competed non-stop on the Mille Miglia in 1949. Present owner drove this car to the Swiss Alps and back in 2011 & he also went to Ireland on tour in 2014 and 2016. 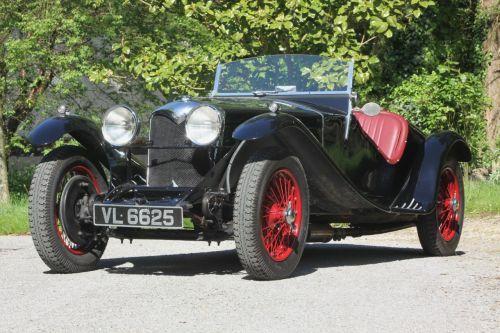 According to Thornfalcon Garage, the previous vendors, this particular example has had a competition history - including the West Anatolia Rally in Turkey in 2001 and 2002. 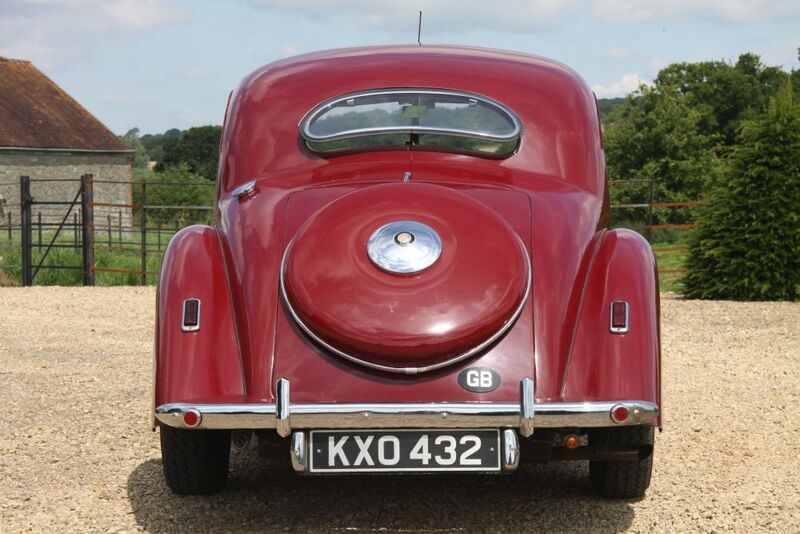 This car has also toured Europe and South Africa. 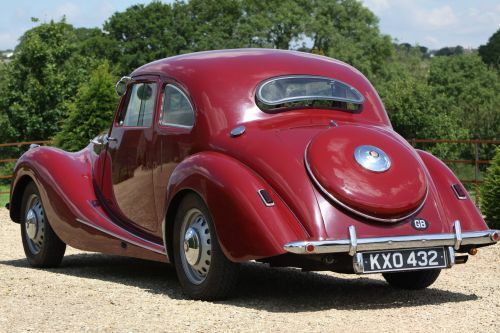 Mechanical modifications include overdrive, alternator, oil cooler, Alfin-type alloy front brake drums and Kenlowe fan. Believed 50,000 miles, guessing by the unworn pedal rubbers as illustrated. 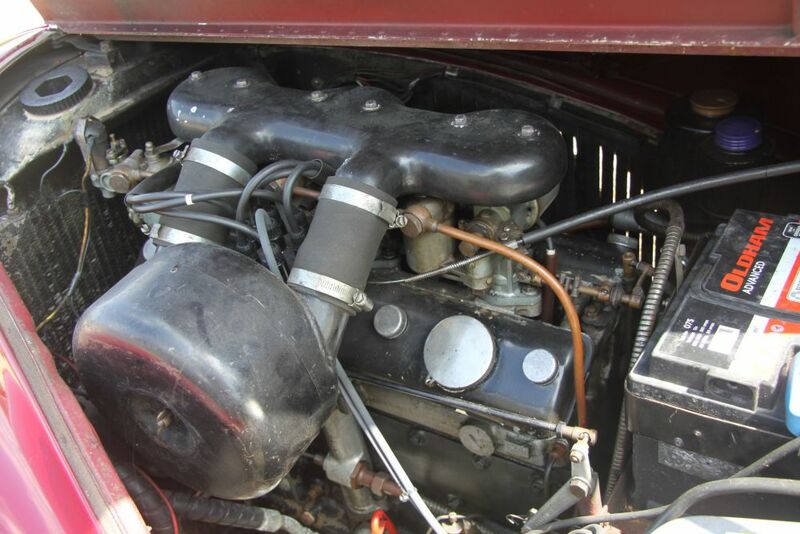 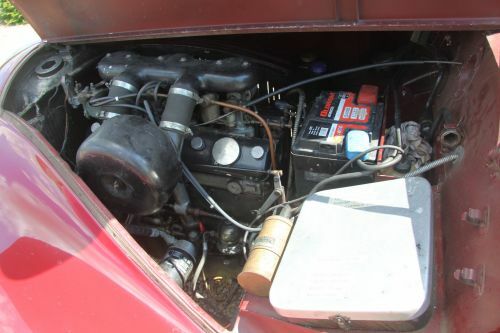 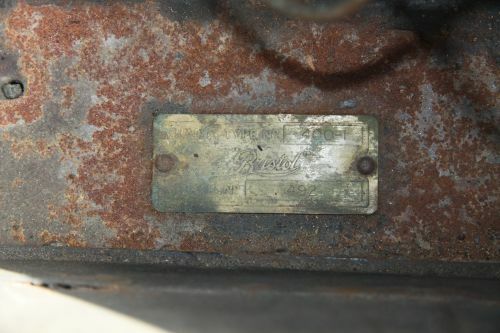 Correct matching number Type 85A Bristol 2-litre six cylinder engine with triple S.U carburettors, 85A-1400. A truly good looking car in readily usable condition with lovely patina. Owned 7 years, part of a collection. 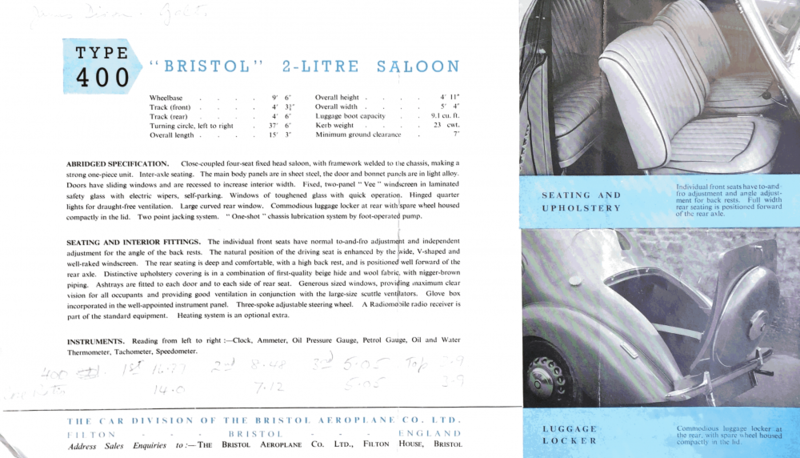 ABRIDGED SPECIFICATION : Close coupled four-seat fixed head saloon, with framework welded to the chassis, making it a strong one-piece unit. 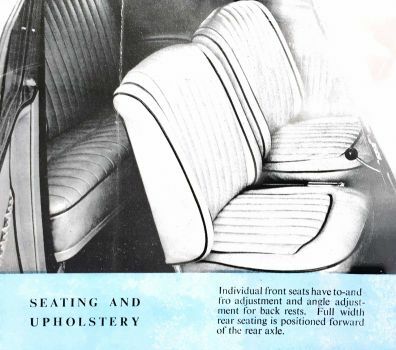 Inter-axle seating. 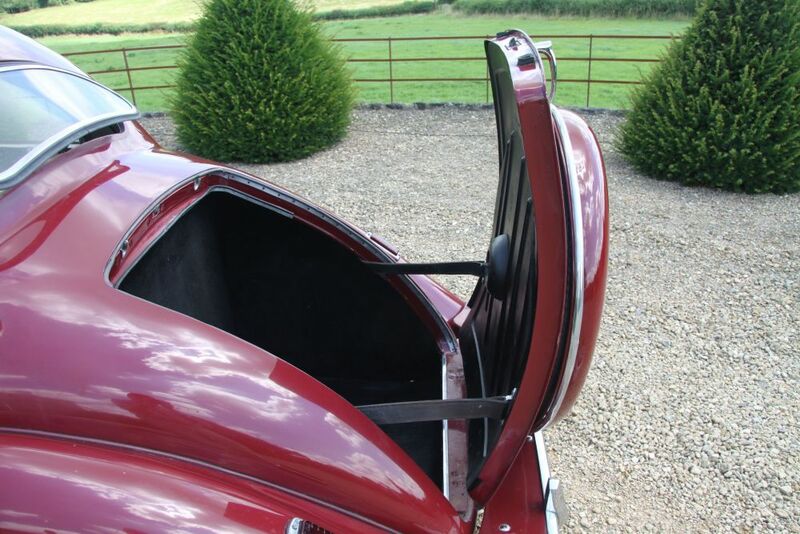 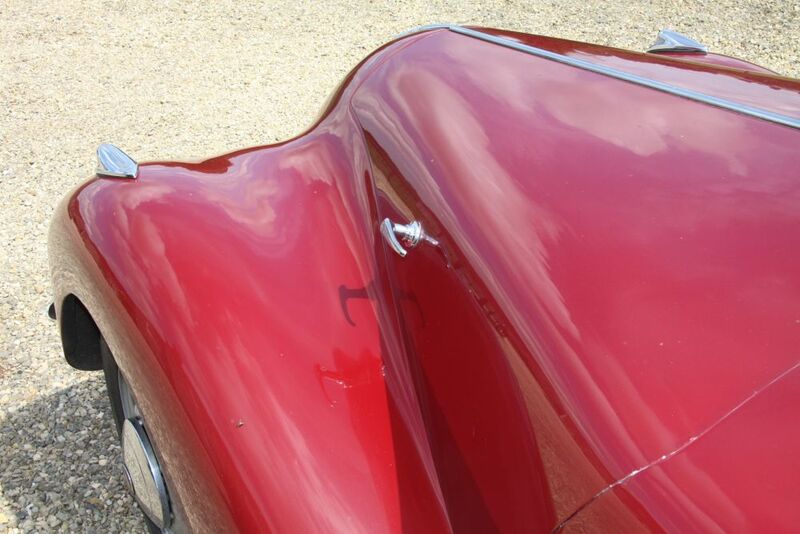 The main body panels are in sheet steel, the door and bonnet panels are in light alloy. 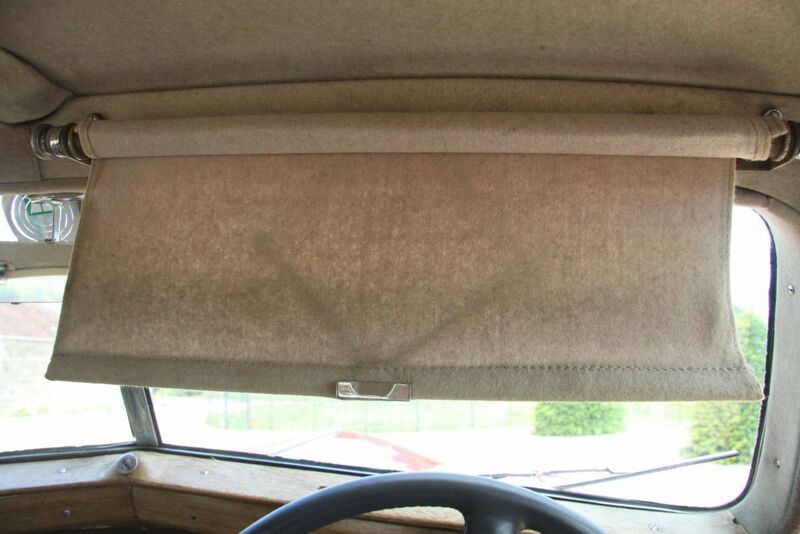 Doors have sliding windows and are recessed to increase interior width. Fixed, two-panel “Vee” windscreen in laminated safety glass with electric wipers, self-parking. Windows of toughened glass with quick operation. Hinged quarter lights for draught free ventilation. 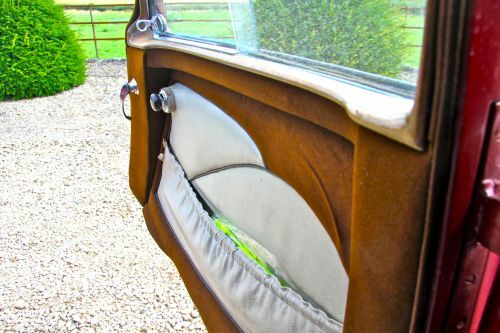 Large curved rear window. 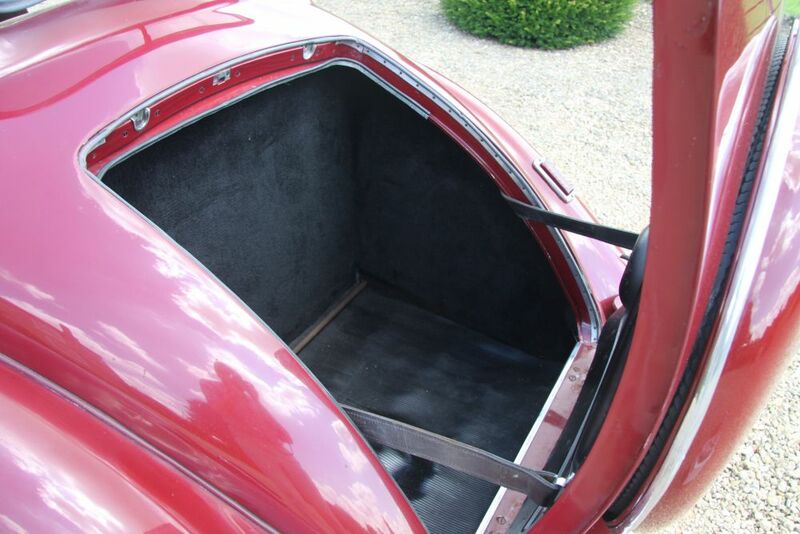 Commodious luggage locker at rear with spare wheel housed in the lid. Two point jacking system. 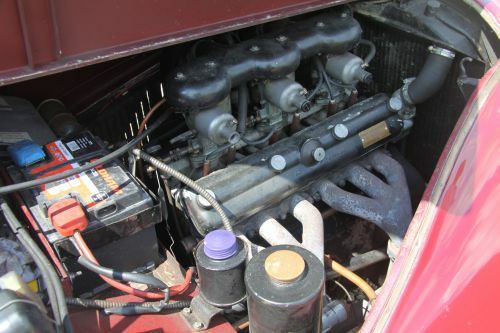 “One shot” chassis lubrication system by foot-operated pump. 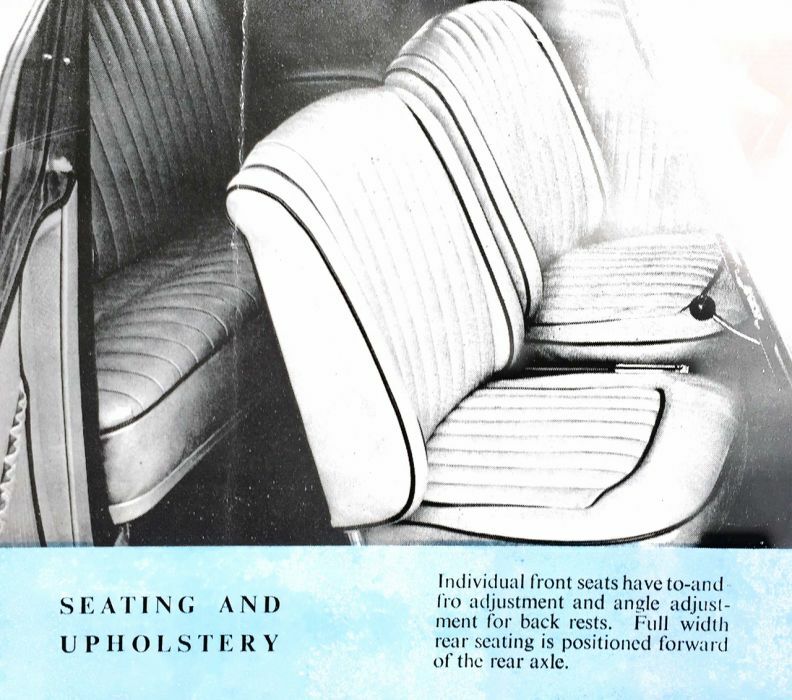 SEATING AND INTERIOR FITTINGS : The individual front seats have normal to-and-fro adjustment and independent adjustment for the angle of the back rests. 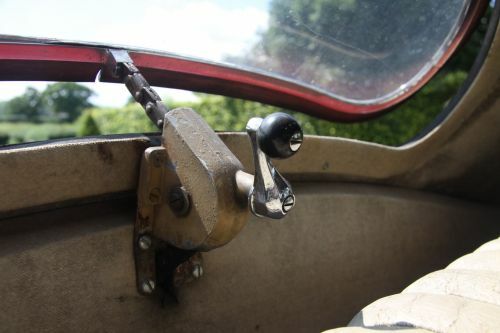 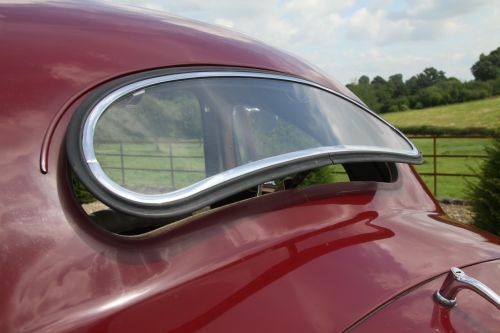 The natural position of the driving seat is enhanced by the wide , V-shaped and well-raked windscreen. The rear seating is deep and comfortable, with a high back rest, and is positioned well forward of the rear axle. 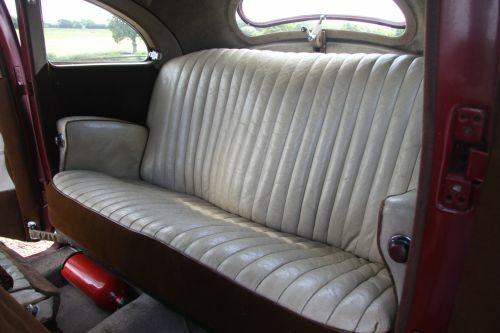 Distinctive upholstery covering is in a combination of first quality beige hide and wool fabric, with brown piping. Ashtrays are fitted to each door and to each side of rear seat. 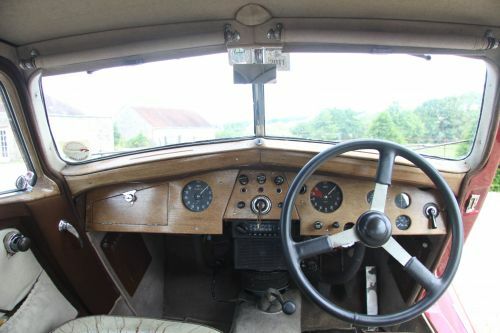 Generous sized windows, providing maximum clear vision for all occupants and providing good ventilation in conjunction with large-size scuttle ventilators. 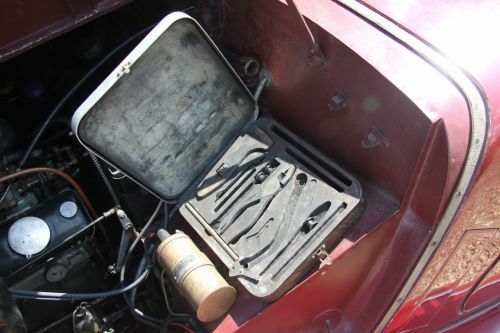 Glove box incorporated in the well-appointed instrument panel. 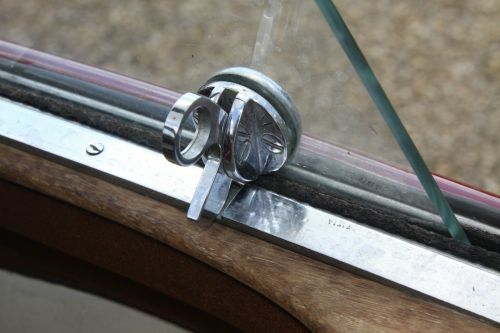 Three spoke adjustable steering wheel. A Radiomobile radio receiver is part of the standard equipment. Heating system is an optional extra. 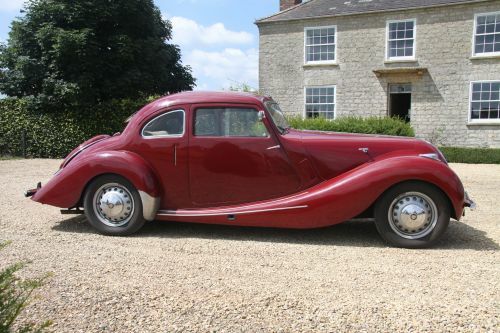 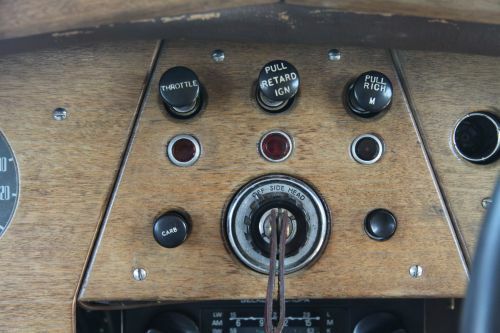 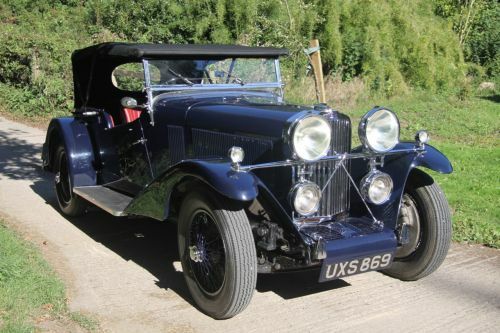 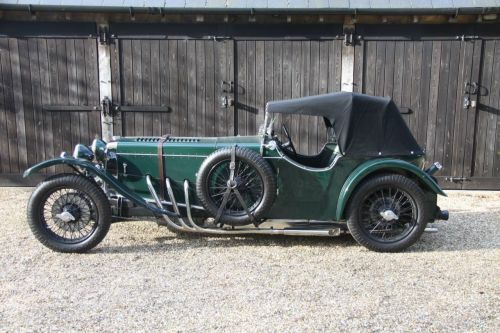 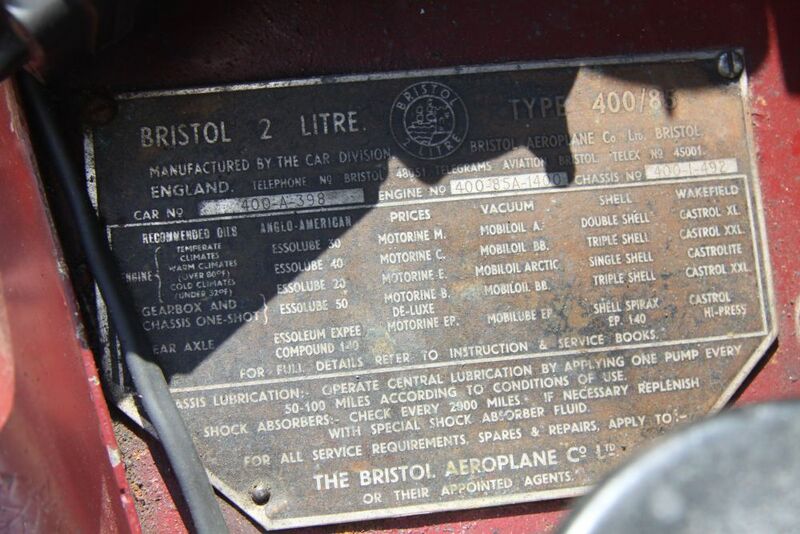 A luxury car from the outset - made to aircraft standard by the Bristol Aeroplane Company. 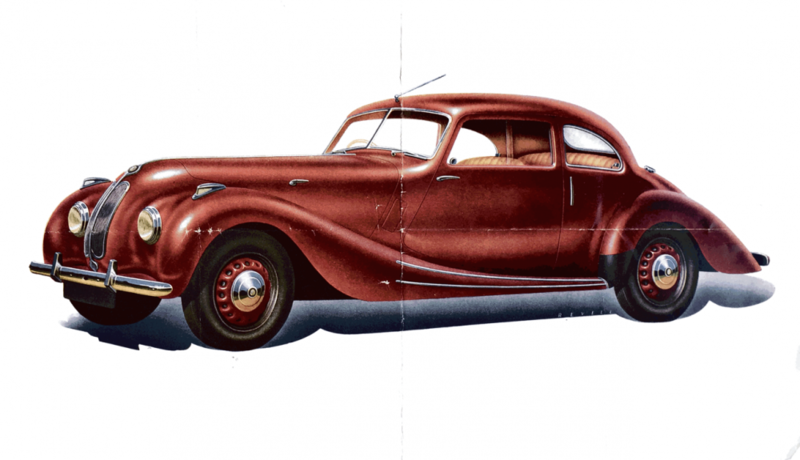 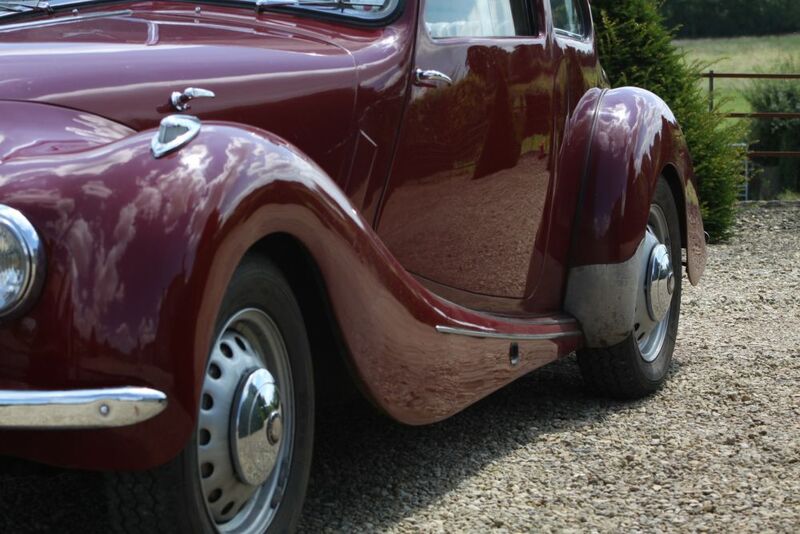 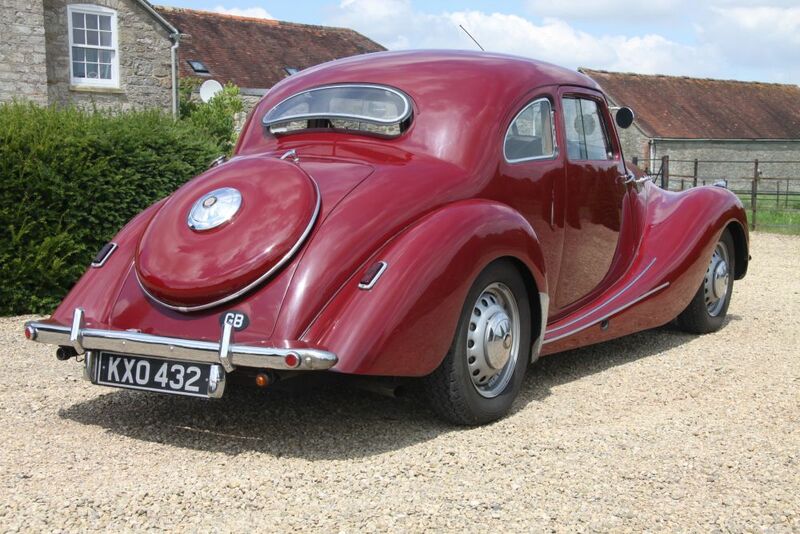 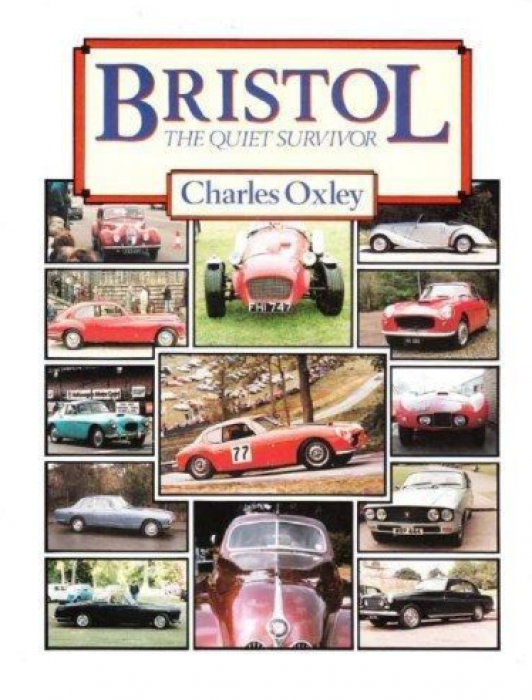 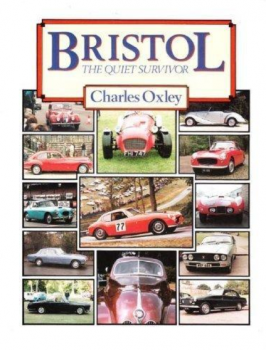 They formed the Bristol Car Company after WWII and based the 400 on the BMW 328 engine and the BMW 326 frame. 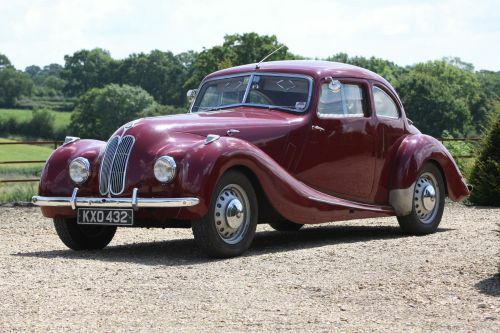 The bodywork was then inspired by the BMW 327. With a top speed of around 92mph, the 400 has impressive acceleration even today. 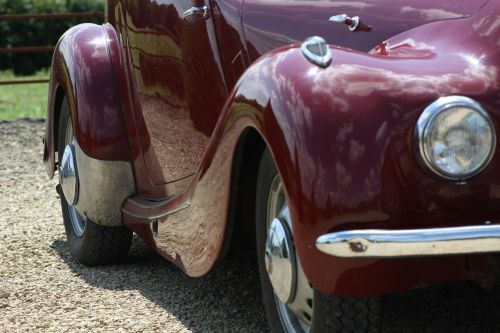 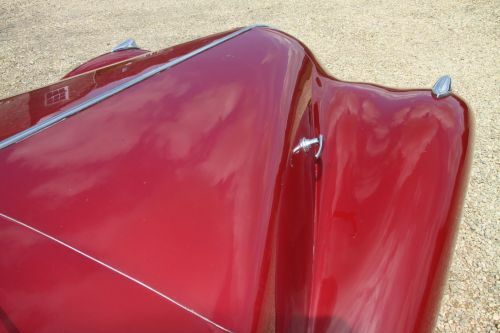 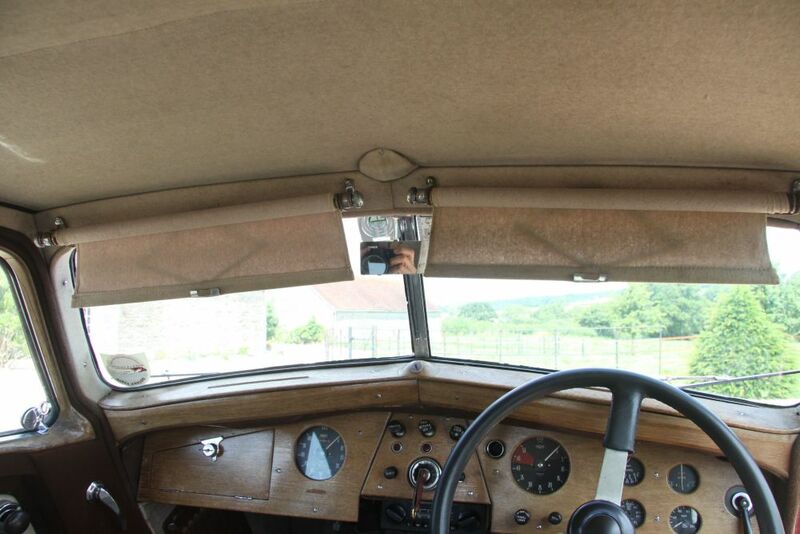 The curvaceous 400 was the only Bristol to be fitted with a steel body, but it had flat glass all-round, making use of the vee-screen arrangement for the windscreen. 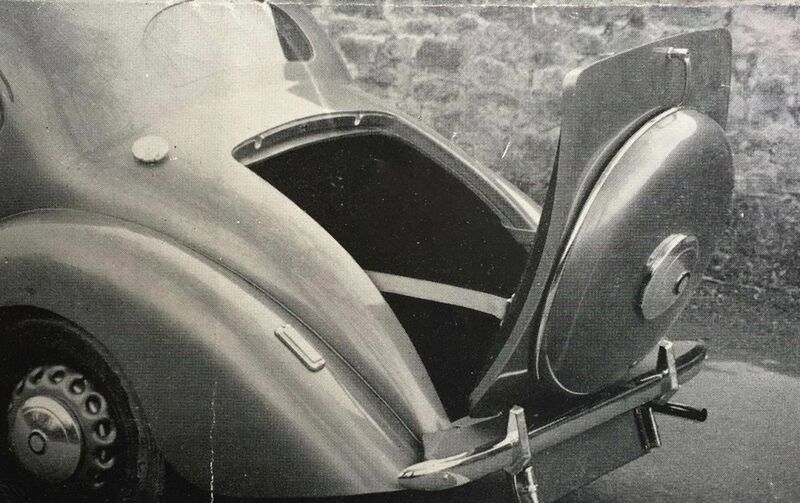 With independent front suspension with a transverse front spring, the live rear axle was located by an A-shaped bracket at the differential casing with longitudinal torsion bars and transverse arms and brackets at the rear.